Genetic tests performed on teeth from human remains found on Gotland Island in the Baltic Sea, show the DNA of almost half the adult males is of Asian origin. Specifically, Mongolian, near Pakistan. Gotland is a Swedish island, from 750 – 1100 AD it was ruled by the Vikings. It was a centre for trade, they made silver jewellery, had factories, established towns and ports. They also had an astounding number of people with Mongolian DNA. Proof there’s a lot more to the Vikings than the text book stereotypes we learned in school. Ponder this – If you could somehow find a way to get a cast iron frying pan into the sun, within moments the sun would go supernova. Iron would instantly shut down our sun, resulting in a massive supernova.. The most common element in the universe, iron is a stars death sentence. It stops fusion. A star burns hydrogen, when that’s gone it burns helium, turning it into carbon, then it burns the carbon, turning it into oxygen. When the carbon and oxygen atoms fuse, the trouble begins. These elements fuse into iron. Once iron is formed, fusion stops and the star collapses in on itself. Imagine our world suddenly fitting on the end of a pin. That’s a supernova. While excavating a Huron village north east of Toronto ( known as the Mantle Site ) archaeologists found an iron axe head. They believe it was buried deliberately. Carbon dating shows it pre dates Columbus discovery of the Americas, and European contact by 100 years. A makers mark on the iron axe allowed them to trace it back to the Basque region of Spain. They believe Basque fishermen crossed the Atlantic setting up summer camps on the east coast. When they abandoned their camps for the winter, anything left behind became easy picking. The Mantle site is incredibly large, almost 100 longhouses, each accommodating up to 100 people. 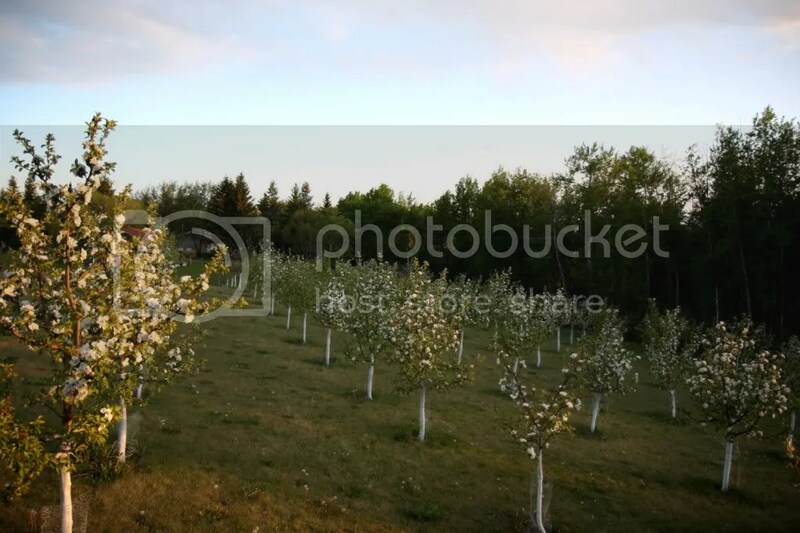 A wood fence enclosed the entire village. It was previously believed all the wood required for this massive construction project had been felled with stone tools. Evidence still remains that the axe appears to have been buried on purpose. Perhaps a vision of things to come. Most of us know that giant sea turtles have an extremely long life span, perhaps up to 200 years. Ponder this – the Turkey Buzzard’s life span can exceed 100 years. There’s nothing better than a good bottle of wine. Ponder this though – as the world’s population grows, regions like the South Okanagan have overwhelmingly switched from fruit crops to grapes. Vineyards pop up overnight. An area that at it’s peak, boasted over 75% of it’s agricultural land, and 30% of it’s population working in agriculture, producing fruit crops, now grows grapes solely for wine making. Wine makes money, business is booming. The next time you bite into an apple, don’t complain because it doesn’t taste very good. That apple probably arrived on a slow boat from China. Today, sunspot AR1520 let go a strong X class flare. 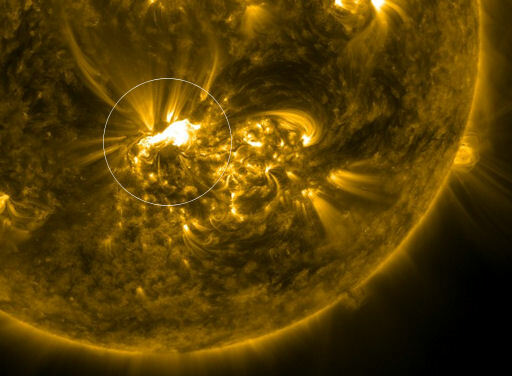 As this sunspot was facing earth, the resulting CME is on a direct course. It will hit sometime on July 14. Follow the link below to Space Weather Alerts and Warnings. Click any of the icons on the chart for detailed predictions and alerts. 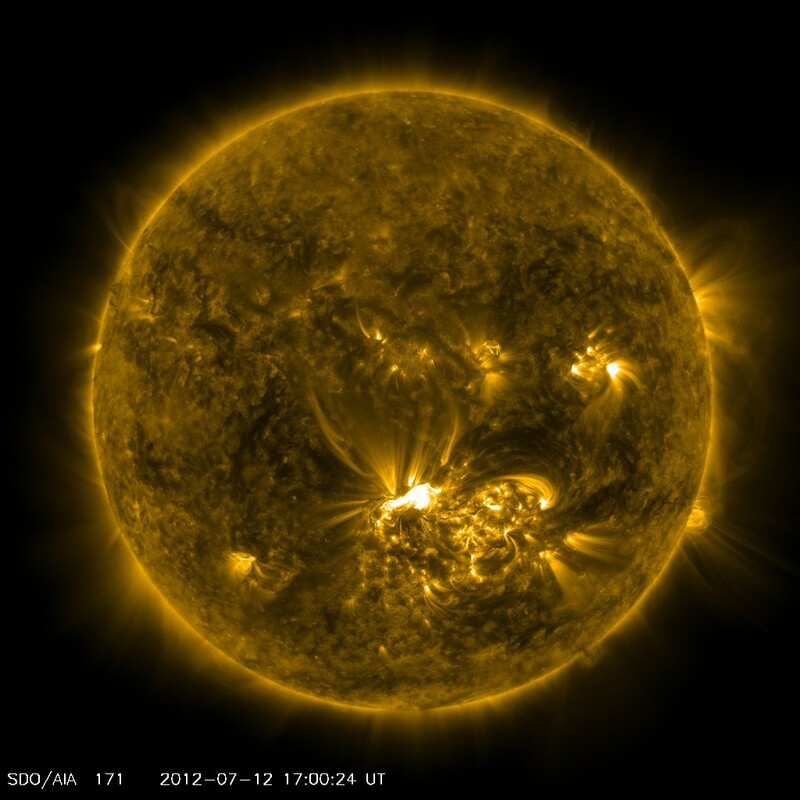 Sunspot AR1515 has now turned away from Earth. A new sunspot, AR1520, even larger than 1515 is turning towards Earth. A high probability of solar flares directed at our planet still exists. 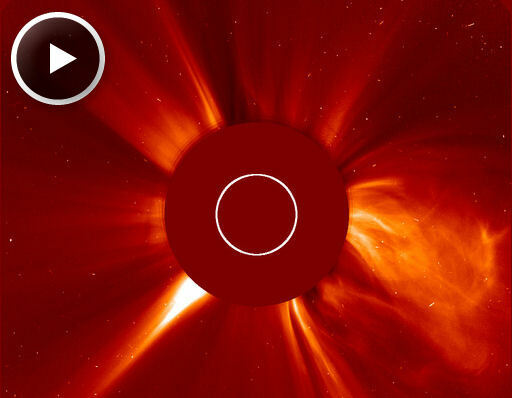 Most often these earth directed CME’s go completely unnoticed by the masses. Airplanes change course to avoid the solar radiation, the northern lights might be particularly spectacular, or visible at lower latitudes. Ponder this – in the event of a direct, disruptive, and certainly inconvenient hit – have you given any thought to your plans to deal with the consequences? Despite the number of eruptions and the breadth of the billowing ejecta, Earth is little affected. All of the clouds appear set to miss our planet. Nevertheless, this flurry of CMEs highlights the currently-high level of solar activity. It is only a matter of time before a significant CME comes our way. Stay tuned for stormy space weather.